Explaining F/C, Q/C, Rift, Ribbon, etc. Hello, I’m Bob Morgan with Bob Morgan Woodworking Supplies and the Veneer Factory Outlet.com Today I’m going to talk about wood veneer nomenclature - the jargon of how wood veneers are named. I am referring to the terms such as "f/c", "rift", "rotary", "ribbon", "tiger" and "figured". What do they mean? There are several descriptive terms for wood veneers that describe how the veneer was sliced from the log. The way that the wood grain "presents" or shows on the surface of the veneer is largely determined by the cutting method. The most common slicing method is "flat cut" or "f/c" (sometimes called "sliced" or "plain sliced" ). The f/c slicing method produces moving grains or cathedral grains. The photo shown here is f/c walnut. Notice the cathedral grain pattern. The cathedral grain pattern is typical for the f/c cutting method, but cathedral patterns are not always prominent. The f/c grain patterns can vary considerably. 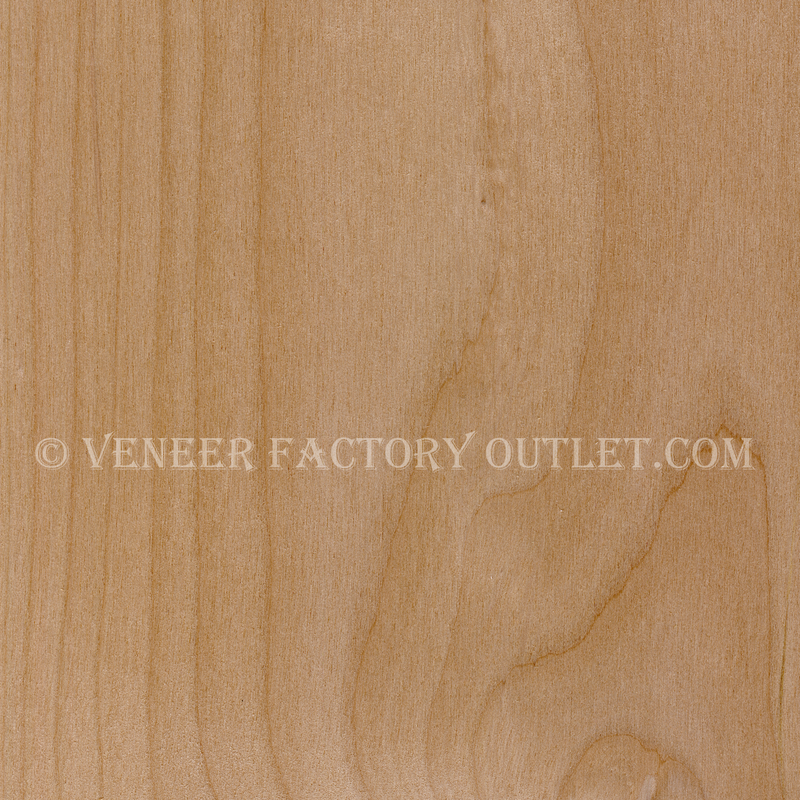 Here is a f/c alder veneer. Notice that the grains show movement, but not the prominent cathedral pattern that is exhibited in the f/c walnut veneer, above. The flat cut slicing method is so common that sometimes the term "f/c" is just left off. So if you see “walnut” or “cherry” or any other wood that doesn’t have a cutting method attached to its name, it means that it is flat cut or f/c. 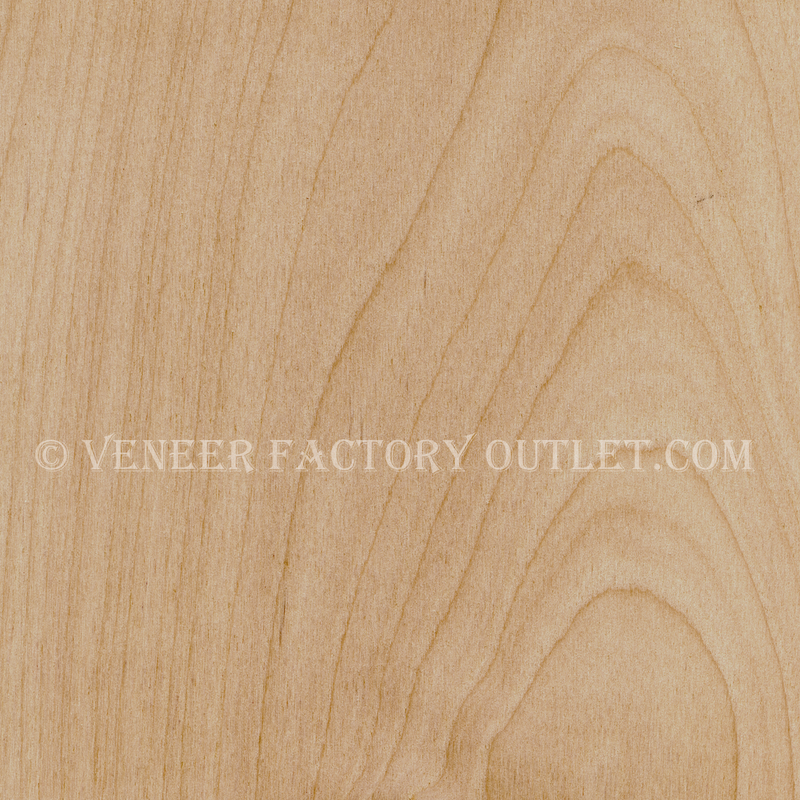 I’d guess that 90% of the veneers that we sell here at the Veneer Factory Outlet.com are flat cut. The term “q/c” means that the wood was sliced from the log using the quarter cut method. 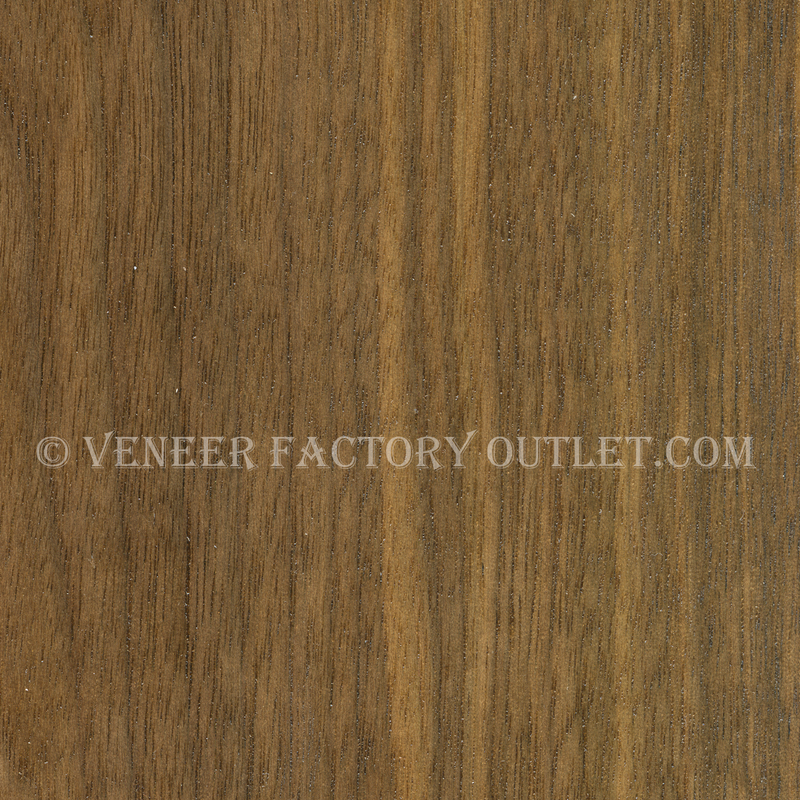 Q/C walnut veneer is shown here. The quarter cut method, abbreviated as “q/c”, sometimes called “quartered” – produces straight, parallel, or comb grains. Q/C grain patterns can be densley packed, or the grains can be in wider bands that look more striped. For some species, such as mahogany, sometimes the term “ribbon” is added to the q/c description. If you see the wording “ribbon” mahogany or “q/c ribbon mahogany” or “mahogany, q/c ribbon”, it means that the mahogany was cut using the quarter cut method and that the wood grains will be straight and narrow, parallel lines – and that the mahogany will look “ribbony”. “Rotary” is another cutting method. Rotary cut white birch veneer is shown here. The grain patterns of rotary cut veneers are somewhat similar to a flat cut veneer, as the grains show a lot of movement and may have a cathedral like appearance. However, rotary grain patterns are usually much broader than f/c grains and have a lot more movement than the flat cut grains. There is one wood that has the descriptive term “tiger” associated with it. It is is “tiger oak”. The tiger oak pattern, especially when it is heavy, with wide bands, reminds one of the the stipes of a tiger – thus “tiger” oak. Once again, it is the cutting method that causes the appearance. 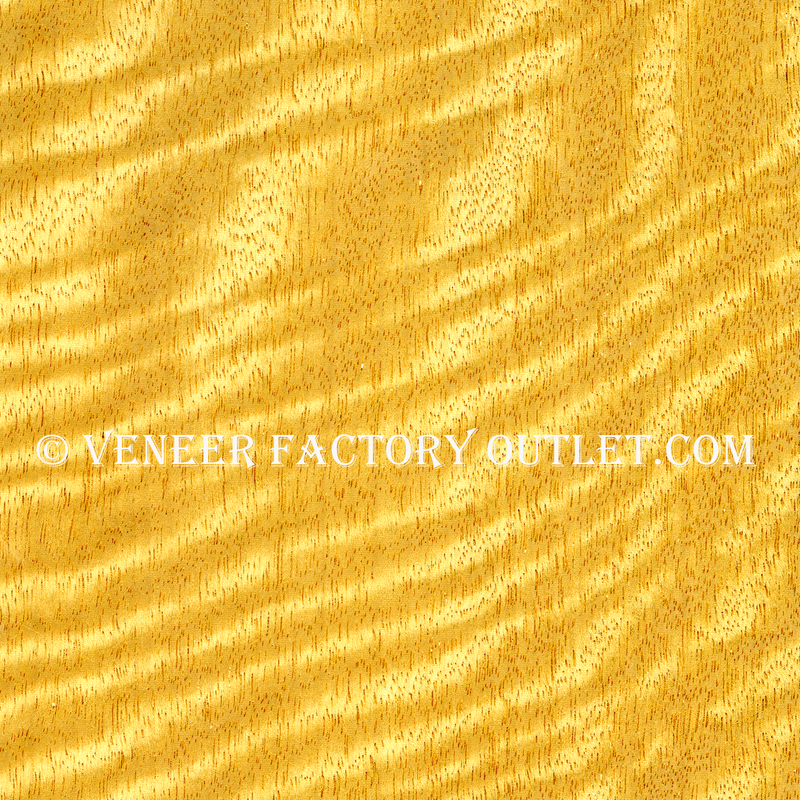 The tiger or "flake" patterns of tiger oak can vary from very small flecks, all the way up to the heavy tiger stripes with wide bands. The very best tiger oak is scarce. 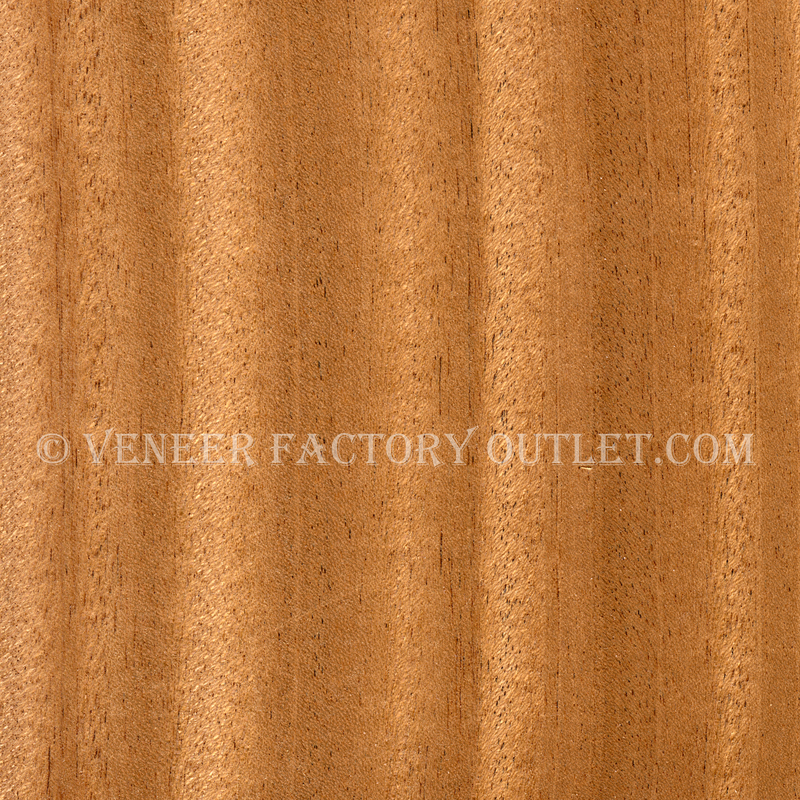 Here at the Veneer Factory Outlet.com, we go through our best logs and we select for only the best 1 or 2 percent of the heaviest flake and tiger patterns. 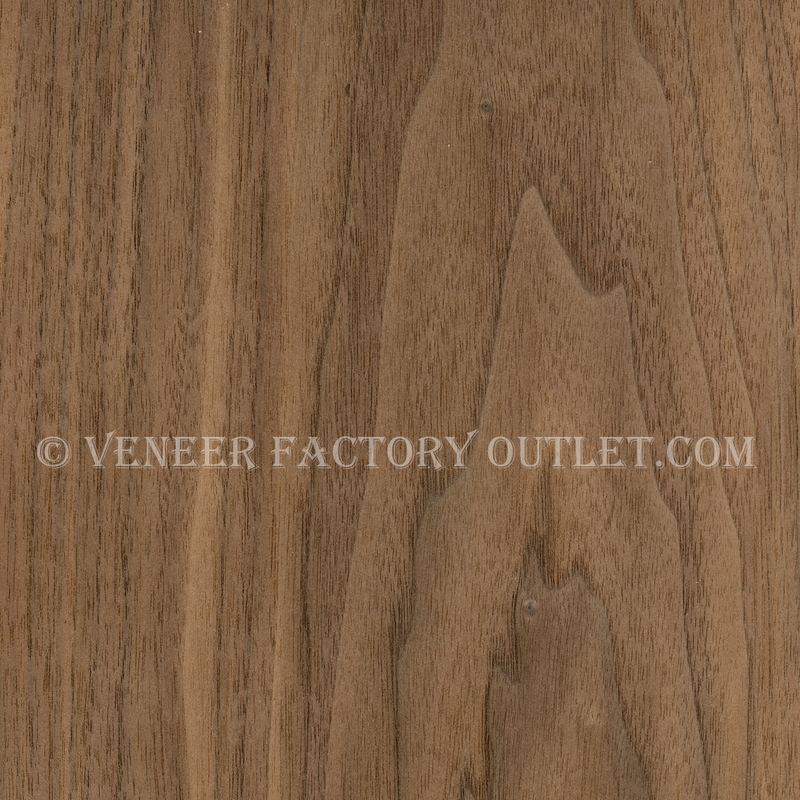 Tiger oak veneer is one of our best sellers. 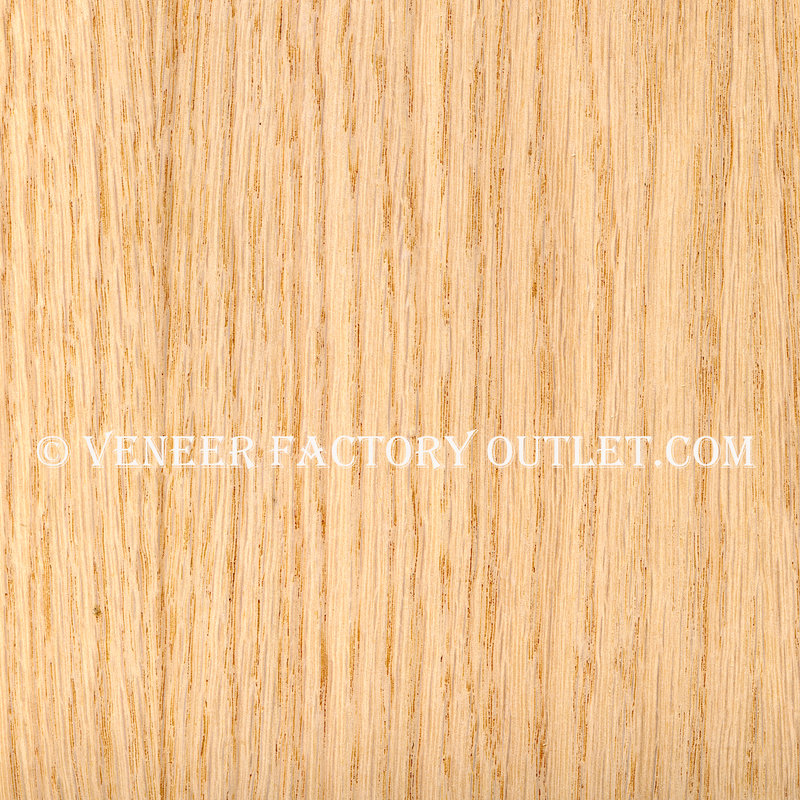 We have a reputation for being a supplier of the best tiger oak veneer anywhere. Most people think that "figured" refers to fancy grain patterns. Don’t make that mistake! “Figure” describes how the light dances, glows, shimmers and radiates from the surface of a wood veneer. There are different kinds of figure. 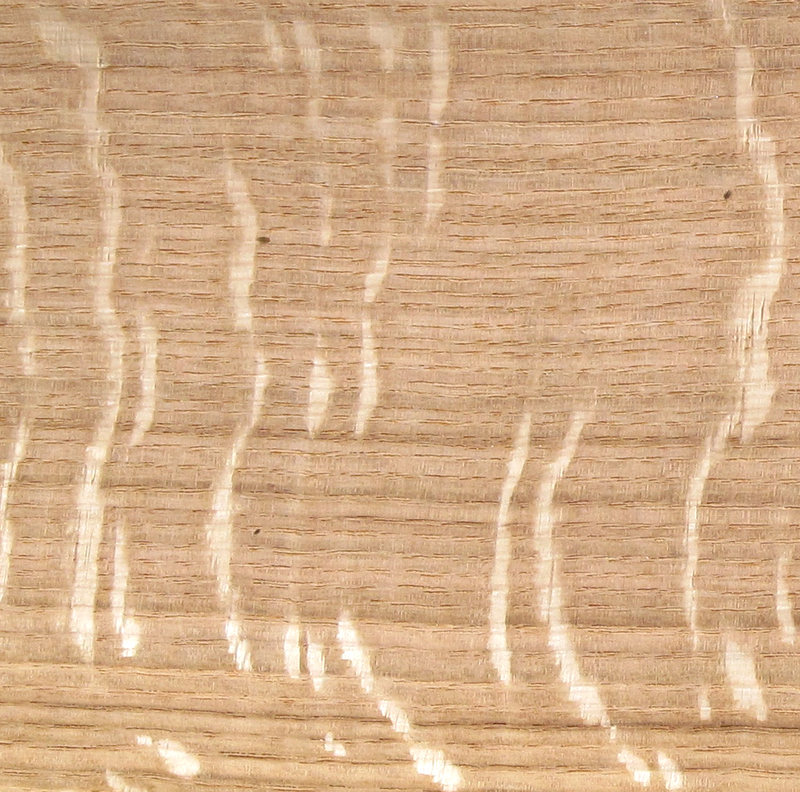 For example “fiddleback” or “curly” are two of the most common types of figured patterns. When you see a wood surface that seems to shimmer and glow in the light, it is a figured wood surface. There you have it. There's really not much of a mystery associated with wood veneer terminology.